I am honored and thrilled that Swords of the King has been named a “Discovered Diamond” and shortlisted for Book of the Month on Discovering Diamonds. Check out the fabulous review on the site now! 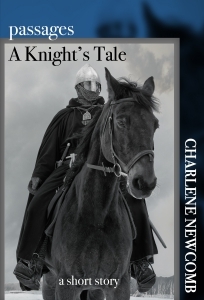 Charlene Newcomb recently published Book III of Battle Scars, 12th century historical fiction filled with war, political intrigue, and a knightly romance of forbidden love set during the reign of Richard the Lionheart. There will be more to come, so sign up for Char’s Newsletter. It will be used – sparingly – to offer exclusive content and and to let you be the first to know about special offers. June 18, 2018 in book reviews.